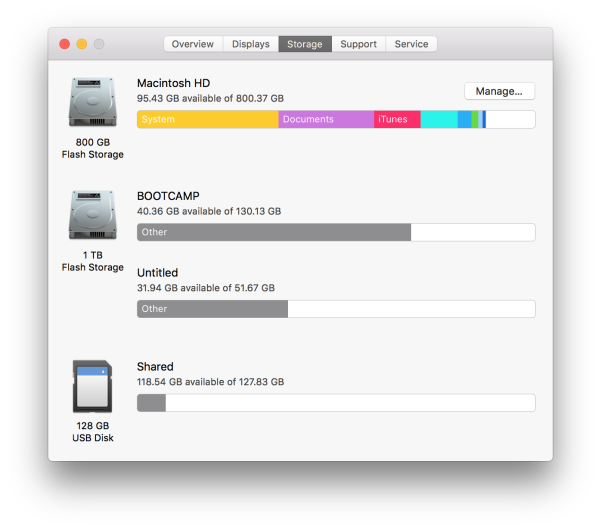 With the release of macOS 10.12 (Sierra), Apple included a new utility called Storage Manager. They do a great job documenting it here. I had never used it before, so I decided to give it a try. I immediately noticed a 3GB application I had installed called "SageMath". No idea why I had it installed, probably some project I did several years ago, but I just right-clicked on it and selected Delete and it was gone. You can also hover over a selection and two small icons will appear: x to delete and a magnifying glass to take you to where the file is stored. 3GB recovered. 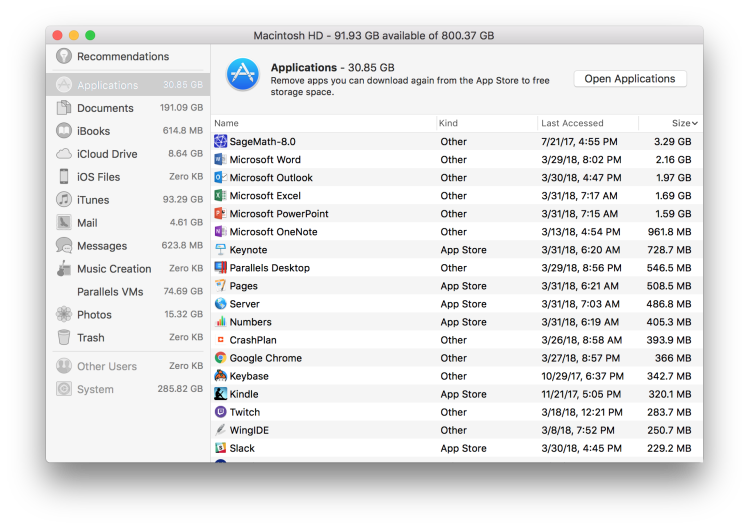 All of the files were in a Mobile Applications folder buried under an iTunes folder in a Music folder under my home directory. 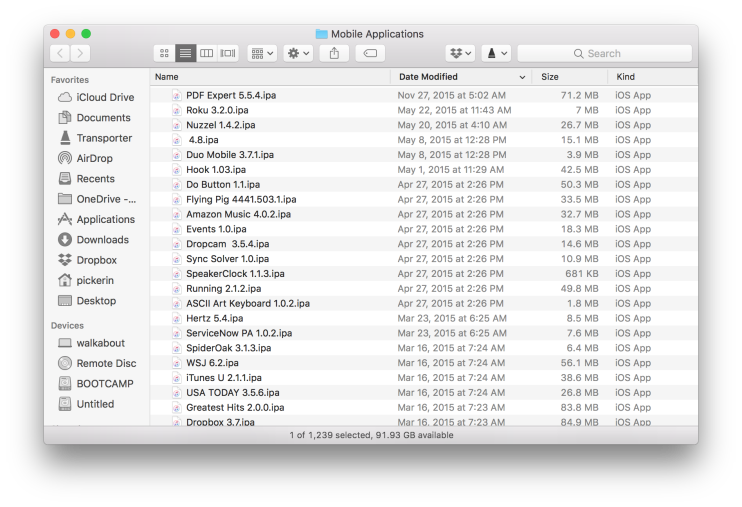 Since iOS applications are all stored in the App Store there isn't any reason to have individual .ipa files on your Hard Disk so I deleted them all. 54GB recovered, now at 57GB total. 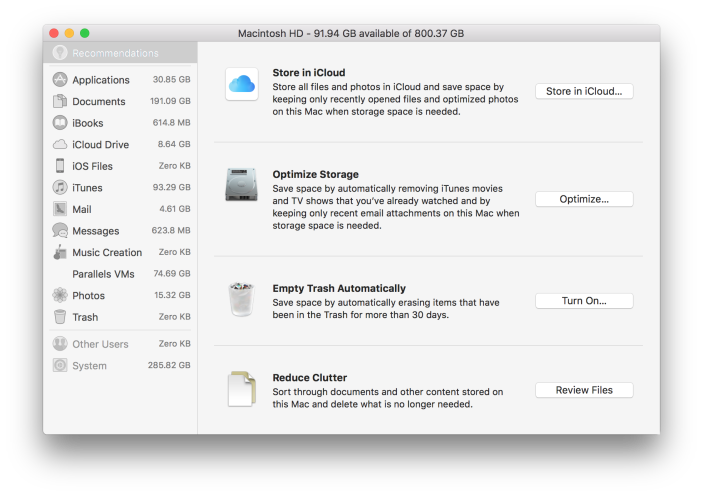 I now back up my devices to iCloud, so I didn't need anything here and I deleted all of the backups. 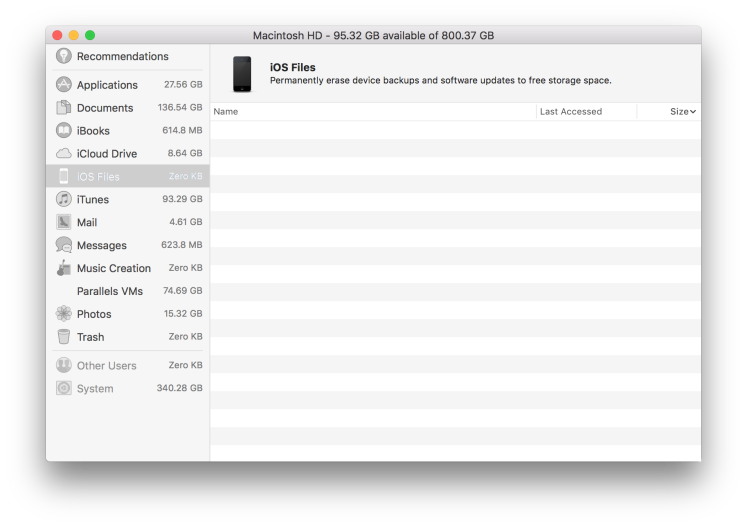 40GB recovered, now at 97GB total. Next was iTunes and I honestly didn't expect to find much here. I knew that my Music Library was large, but I also knew I didn't want to delete any of it. However, I found several movies and TV Shows that I had downloaded (or that Apple had downloaded for me) and I removed the download (I can always download them again if I want), this freed 6GB of storage. 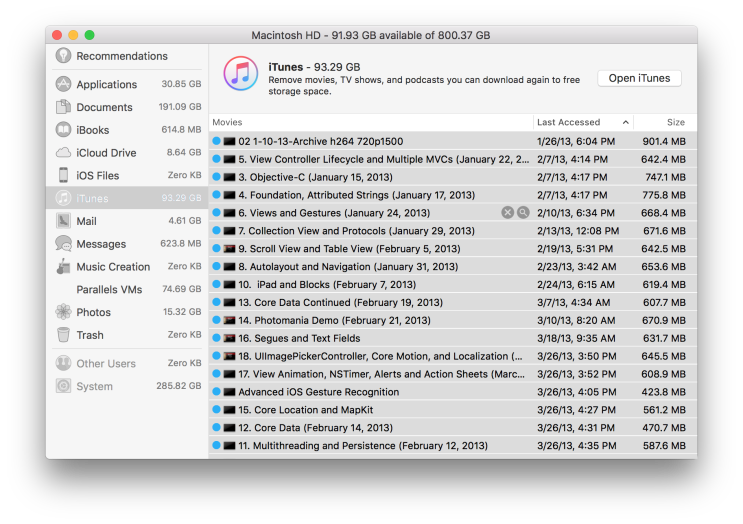 I then noticed a LOT of "Movies" that seemed to be taking up a lot of space, I again clicked the magnifying glass to figure out where these were and found that they were actually downloaded Podcasts. Removed. 18GB recovered. 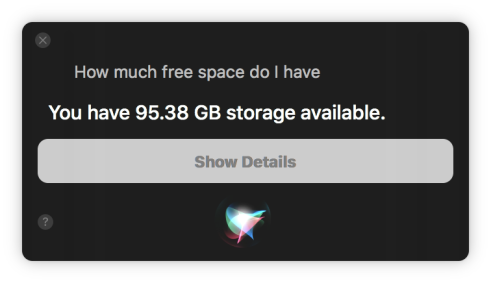 121GB total. I accomplished my goal of freeing up over 100GB of storage, and I could have kept going, but I'm anxious to play World of WarCraft - Battle for Azeroth.